JOES Speed Shop is now an official Brown & Miller Racing Solutions Dealer! We currently stock BMRS Polyester Braided Convoluted PTFE Hose along with high quality BMRS AN -6 /-16 PRO GOLD AC Crimped Fittings. 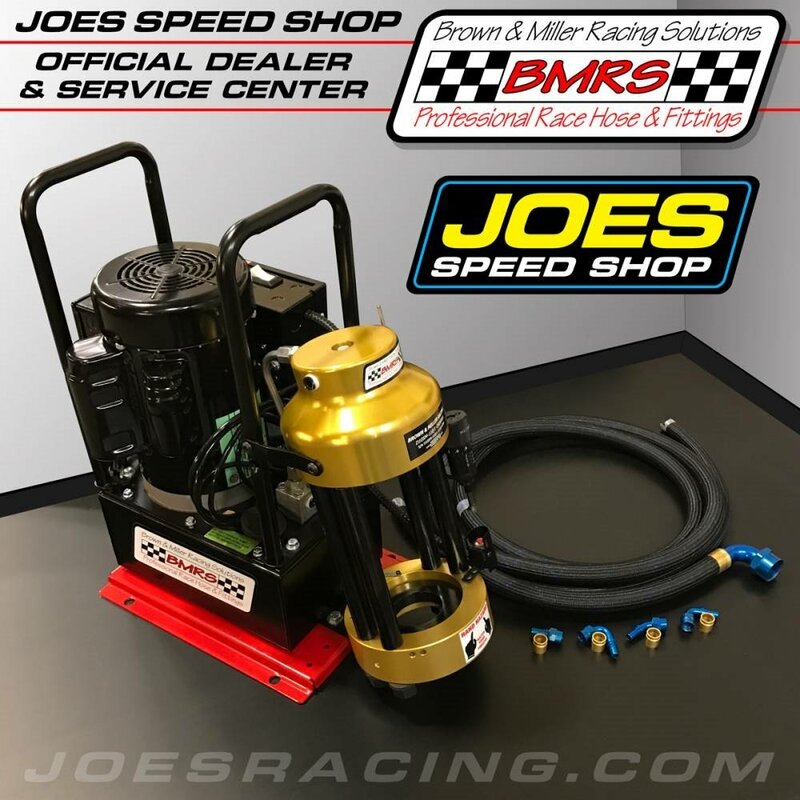 JOES Speed Shop is now your go to Service Center with our new fully adjustable BMRS Crimper Machine that can produce the right lines for your specific needs! JOES Speed Shop is located at 1410 80th St SW, Unit F Everett, WA 98203. Contact Wayne at 877-267-1525 for details.